Tim Hortons is encouraging Canadians to warm up their thumbs for another Roll Up the Rim season, and the brand's biggest annual campaign is officially back in stores on Wednesday, February 6. Roll up the Rim is a yearly contest from Tim Hortons that gives guests the chance to win amazing prizes by rolling up the rim of their coffee cups. Back for its 33rd season, the 2019 Roll Up the Rim campaign looks back on its history, playfully leaning into the stories of players that make the game what it is. 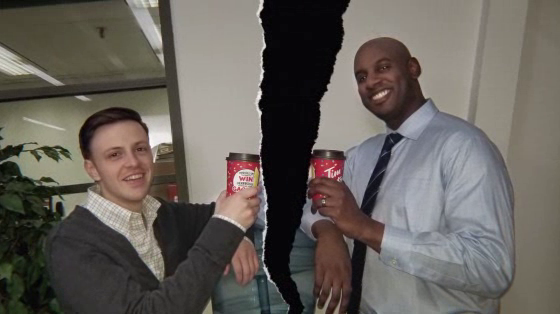 This year's campaign, created by Zulu Alpha Kilo, treats Roll Up the Rim as a professional sport that unites Canadians season after season. It centres on a series of mockumentary-style videos that celebrate 'Roll Up Legends', an inspirational set of fictional Roll Up players. The Legends’ films, entitled 'The Rivals', 'The Dynasty', 'The Injury' and 'The All-Star', each feature charismatic personalities, relatable Roll Up rituals and reflect Canadians’ passion for the 'Great Sport of Roll Up'.